Birmingham City recorded a narrow 1-0 victory over bottom-of-the-table Blackpool as Lee Clark returned to St Andrew’s for the first time since his sacking in October. 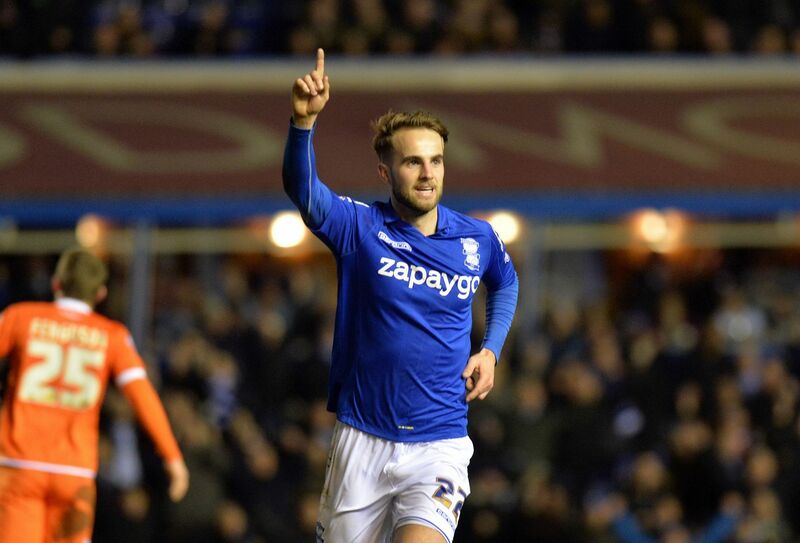 The former Blues boss never found St Andrew’s an easy place to take three points, and Andy Shinnie’s first-half goal was enough to keep tradition alive. Blackpool’s Jamie O’Hara was lucky to stay on the pitch after two incidents that deserved red cards – first an elbow on David Davis, then a stamp on Clayton Donaldson, but referee Stuart Atwell failed to act in either ci cumstance in an officiating display that was lacking. Both sides were poor in truth, and had Clark’s Tangerines shown a killer touch in front of goal, the result would have been different. The away side recorded the first shot on goal of the night when the ball fell to O’Hara just outside the box. The former Wolves midfielder hit a stinging volley straight down the throat of Darren Randolph which the Blues stopper had no trouble in dealing with. At the other end Blues carved their opening opportunity following a long ball from Paul Caddis. 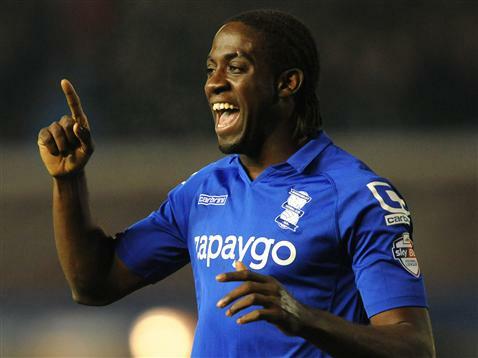 Clayton Donaldson, who performed tirelessly on the night, fed the ball wide to David Cotterill who returned the favour for the striker, but Donaldson saw his free header clear the crossbar. Nathan Delfouneso then squandered a chance after an impressive run and from the resulting break, Blues should have taken the lead. Caddis sprinted down the flank in typical fashion and crossed the ball into the box on a plate for Donaldson who headed wide from seven yards when he should have found the back of the net. 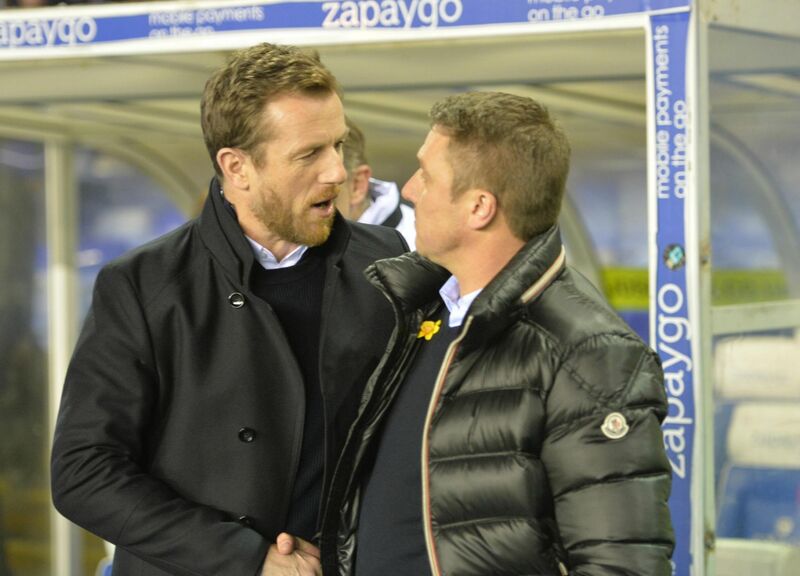 However a couple of minutes later Rowett’s side broke the deadlock. Robert Tesche, making his debut after signing on loan from Nottingham Forest on Monday, produced the pass of the match with a chipped ball over the defence to the onrushing Andy Shinnie, who guided his header over Blackpool goalkeeper Elliot Parish. The second period began in controversial fashion as O’Hara and Davis clashed when jumping for a header following a Cotterill free-kick. O’Hara appeared to lead with his elbow and catch Davis, which replays confirmed, but referee Atwell awarded Blackpool a free-kick following a short consultation with his assisstant. Gary Madine had a chance to level the scores just after the hour after a flick-on from a free-kick fell to the striker six yards out. Randolph, called into action for the first time on the night, had retained full concentration and reacted quickly to block the goalbound effort. Moments later, Blues had Randolph to thank again. David Perkins, the visitors’ most dangerous player, played in subsitute Tom Barkhuizen with an inch-perfect through ball, but the goalkeeper produced another fine save to deny Blackpool an equaliser. Wes Thomas, who replaced goalscorer Shinnie after 67 minutes, almost found the target with a sweetly struck half-volley but his effort narrowly cleared the goal frame. The final incident of note was another clash involving O’Hara, this time even more damning than his elbow on Davis. O’Hara brought down Donaldson 40 yards out before blatantly stamping on the Blues forward, an indefensible challenge that should have resulted in his dismisall. However, the referee again deemed the act worthy of no punishment. Overall, neither side’s peformance justified the reward of three points, but Shinnie’s solitary effort ensured the win. Rowett’s Birmingham have now accrued 45 points, more than the tally in the whole of last season. “They were two very poor challenges which were the most unsavoury part of the evening. “One was a forearm smash on David Davis and the other was a stamp on Clayton Donaldson. “It’ll be the biggest miracle in football if we stay up now. We have 11 games to go and we’re 16 points behind with our goal difference really. “We need to get five wins and a draw more than three of our rivals. When we have only won four so far, it’s a tough one.